Arthritis is a condition that is characterized by inflammation of the joints, and it can cause stiffness, pain and mobility issues. Although arthritis sometimes worsens with age, it affects young and old, and men and women alike. In fact, it’s estimated that more than 350 million people in the world suffer from some sort of arthritis. In some cases, arthritis can hinder lifestyle, cause mobility issues and even increase depression and anxiety. Although medication is often prescribed to manage this condition, there are several non-medicinal options that may be helpful. 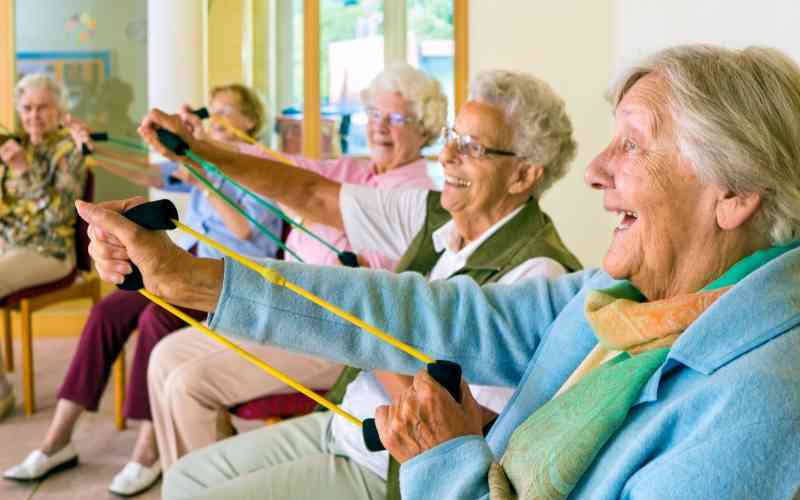 Although it may seem counterintuitive to exercise when you are stiff or have achy joints, consistent gentle exercise such as water aerobics, swimming, yoga and light weight-bearing exercises can help manage arthritis. In addition to keeping joints limber and loose, gentle exercise or stretching can also help battle the depression that some arthritis sufferers experience. Meditation is a mind and body practice, sometimes using guided imagery, that can help reduce stress and induce calmness and relaxation. Studies show that mindfulness-based meditation can lessen the amount of pain that people experience with conditions like arthritis. If you are new to meditation, download a guided meditation app on your phone or take a meditation class with a friend. There is a reason why Olympic athletes soak in hot tubs or use ice packs for their overworked joints. It’s because heat and cold therapies can be highly effective in reducing swelling and relieving aches and pains. Taking a long, hot shower or soaking in a hot tub in the morning can help reduce stiffness and reduce pain. Using ice packs can also help reduce swelling, and in some cases, alternating heat and cold on painful points can be effective for pain management. Many people swear by natural supplements to reduce inflammation and pain associated with arthritis. Tumeric, an herb that is often found in Indian dishes, contains an element called curcumin that has strong anti-inflammatory properties. Ginger and Vitamin C are also recommended for their healing properties for people who suffer from conditions like osteoarthritis and rheumatoid arthritis. Your diet can have a tremendous impact on how you feel if you have arthritis. Increasing your intake in Omega-3 fatty acids (found in high quantities in many types of fish) can help significantly reduce inflammation. Increasing your intake of fruits and vegetables containing Vitamin B, C and D can also help boost energy levels, combat illnesses and reduce pain. There are several alternative therapies that may be effective when battling painful conditions like arthritis. For example, many people who suffer from arthritis find relief from regular massage as well as acupuncture treatments. A strong support network is important to overall health - physical, emotional and mental. It’s incredibly important to have others around you who can offer compassion, advice and even some humor. At Kyffin Grove, we offer healthy, nutritious meals, activities for relaxation and pain management like non-impact exercise classes. Contact us to learn more our supportive community and how we can help you take control of your symptoms and lead a more fulfilling and pain-free life.